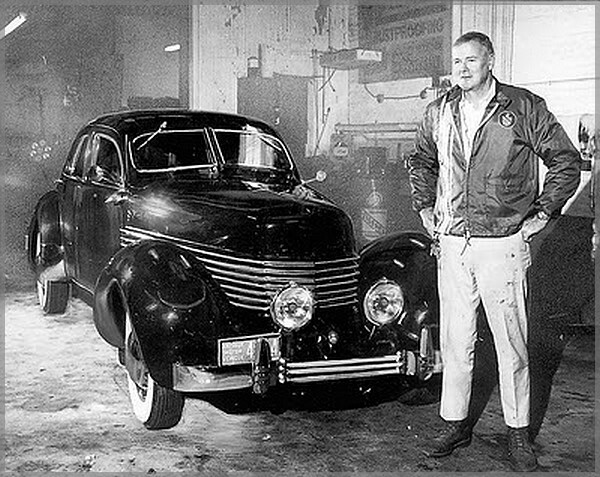 The 1936 Cord is an automobile Richard Reeve loved and lost. About 40 years ago in a Pennsylvania barn, he found a neglected body and motor of this American classic, which he lovingly restored and displayed at car shows. A few years later, a buyer talked him into parting with it, a move he later regretted. 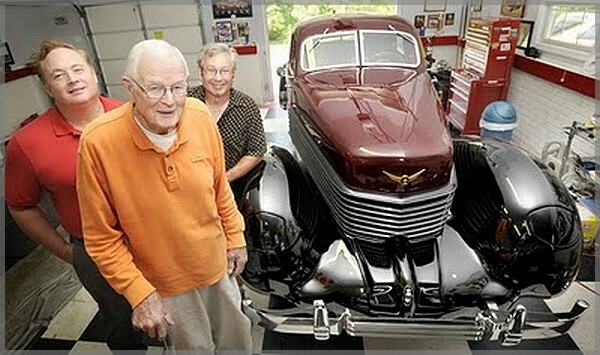 His sons recently opened a garage door, and there was the car he had restored so long ago. It had turned up on eBay and his sons, remembering how much he had missed it over the decades, bought it for their 90-year-old father. When new, the Cord knocked Detroit on its tailpipe. 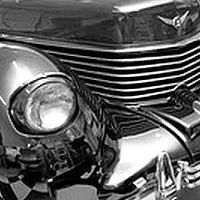 Sleek, low-slung, gorgeously styled, the Cord had disappearing headlights, no running board and a powerful engine. It was also so far ahead of its time that production ceased a year later. Only about 2,000 were made, and all are prized by collectors today. "On a Saturday night, we'd walk down Broad Street in Philadelphia and look inside Shore Brothers' showroom," Reeve said, recalling his youth. "No one ever dreamed of owning a Cord or even having the money to put gas in one." Now, Reeve again owns the Cord, No. 769, made in February 1936. Only 16 Cords were sold new in Maryland that year. Reeve, who lives in Lutherville, is the retired owner of Baltimore Finishing Works once Baltimore Paint Removing on Huntingdon Avenue in the Remington section of Baltimore. His two sons, Richard "Rick" and Michael, now operate the business founded by their grandfather in 1921. 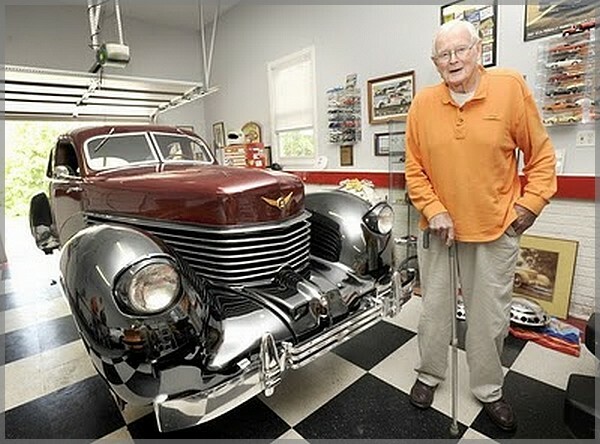 Over the years, the elder Reeve has owned and restored many classic cars. His first car was a used 1931 Lincoln that he bought for $50 in 1937 or 1938. "By that time, big cars were worthless and expensive to operate," he said. "I traded it for an Hispano-Suiza. If I had it still, it would be worth $500,000." In 1970, he heard about a Cord in Pennsylvania and tracked it down to a barn in York County's Dallastown. The body was in a barn and the motor sat "in the muck." He got it for $300, called in all sorts of experts to help with its restoration, and reassembled the car outside his business. In the two years that Reeve owned the Cord in the 1970s, he took it to car meets. It was a star attraction of the Towsontown Parade. 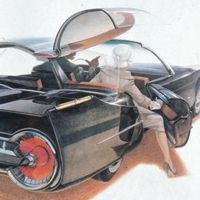 He loved explaining the car and its innovations and even had brown-toned fliers made that began, "This was the car that came out of the farmlands of Indiana in the late summer of 1935 to write a whole new chapter in automobile history." At a meet near Washington, a funeral director approached him and offered $10,000 with a Mercedes-Benz SL thrown in. Reeve considered the offer a few days and wound up selling the car and plowing the money he made on it back into his business. At the time it seemed like a prudent thing. But of all the many vehicles Richard Reeve restored, that maroon-and-black Cord stood out. It made a deep impression on his sons, who learned to drive behind its wheel. 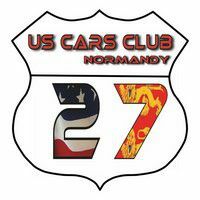 Both sons own classic cars, and their father kept telling them they should own a pre- World War II vehicle. About three weeks ago, one of his sons, Rick, thought about the Cord. He tapped the four letters C-O-R-D into a computer search engine and up popped an eBay listing for one. And it was not just any Cord, but, unmistakably, the Reeve Cord. He consulted his brother, jumped into the bidding, and beat 11 other potential buyers. But the bid did not meet the seller's minimum. About three weeks ago, one of his sons, Rick, thought about the Cord. He tapped the four letters C-O-R-D into a computer search engine and up popped an eBay listing for one. And it was not just any Cord, but, unmistakably, the Reeve Cord. He consulted his brother, jumped into the bidding, and beat 11 other potential buyers. But the bid did not meet the seller's minimum. Rick Reeve began negotiating with the Cord's owner, Mark Cord (no relation to Cord's founder, Errett Lobban Cord), a custom cabinet maker who lives in Charlotte Hall in Southern Maryland. They struck a deal: $43,000 for the same car the elder Reeve restored. It still runs and is in mint condition, although it needs new tires. 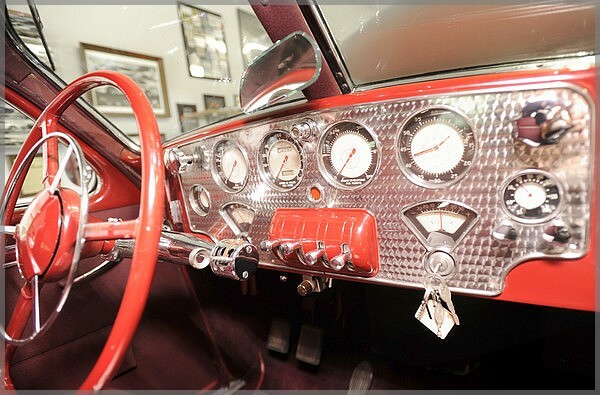 All these years it has been kept in climate-controlled garages by the three parties who owned it since Reeve. "When I drove it, it sounded tremendous," Rick Reeve said. "I want my father to take it up to Panera's and show it to his cronies." On July 18, the Reeve sons lured their father away from his home under the pretext of a family gathering in Finksburg. They handed him the Cord owner's manual and watched as he began to realize that something was up. Then they raised the door to the garage, and his jaw dropped. Then he got behind the wheel and was off, climbing the hills of Carroll County. Credit Photos : Baltimore Sun by Algerina Perna.